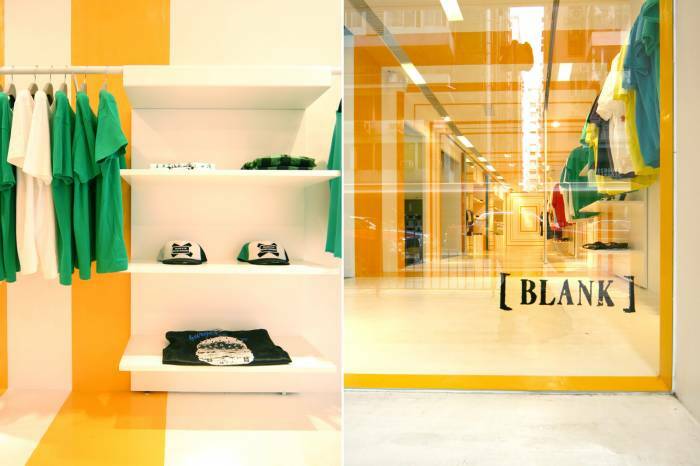 Blank, a T-shirt specialty store, which collects/sells local and up-coming graphic design T-shirt; the interior design aimed to enhance its simplicity but its distinctive of Blank’s t-shirt. 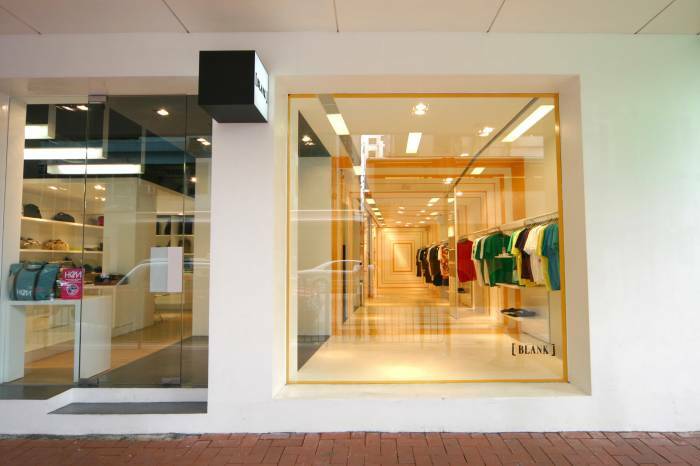 This store, 350 sft. conveys long and narrow configurations to the space. 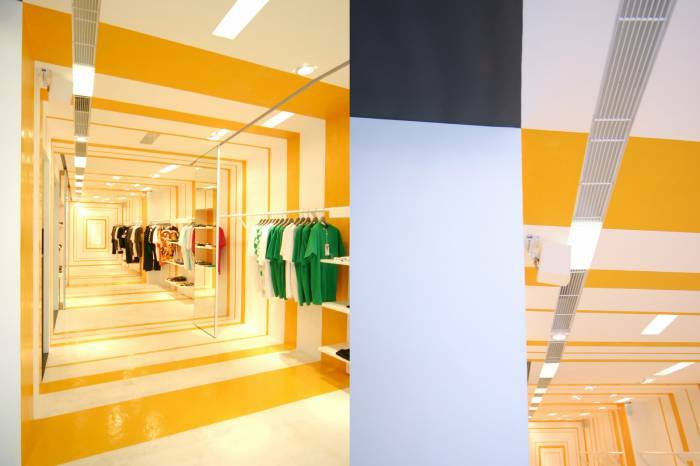 To create a unique and impressive spatial and shopping experience, a yellow strip was painted all around white ceiling, white floor and white walls; therefore a T-shirt tunnel is attractively launched. Besides, to fulfill their display flexibility, all the mirrors and shelving units hang at the rod can be moved and relocated; it gives variety to the store’s visual display approach.